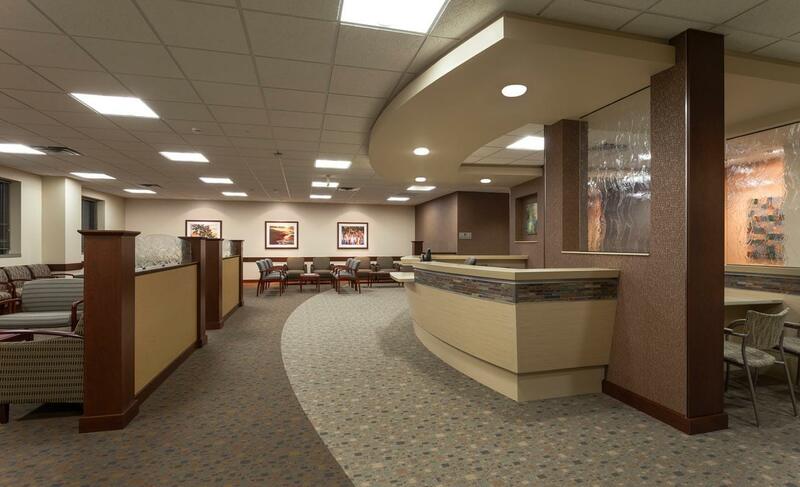 This facility offers a convenient, comfortable, environment that is focused on providing a positive patient experience. 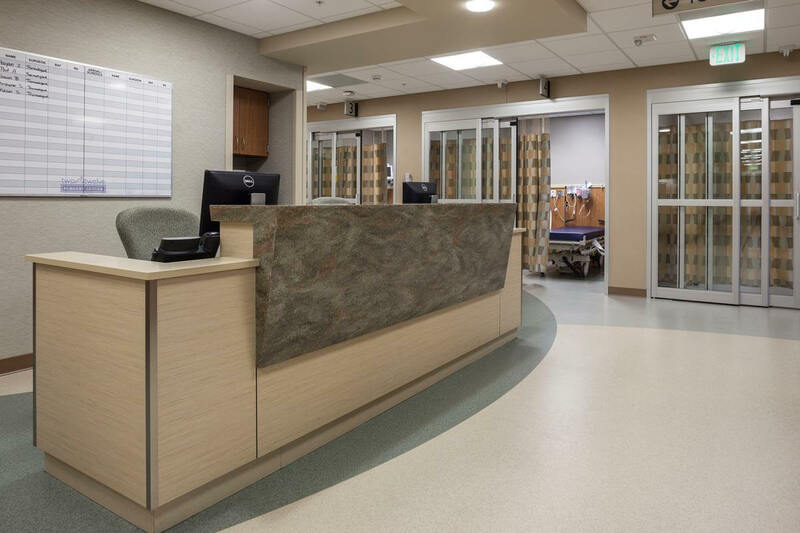 The center consists of a welcoming reception design and spacious waiting are, four operating rooms, pre-op and recovery areas, and ancillary support spaces. 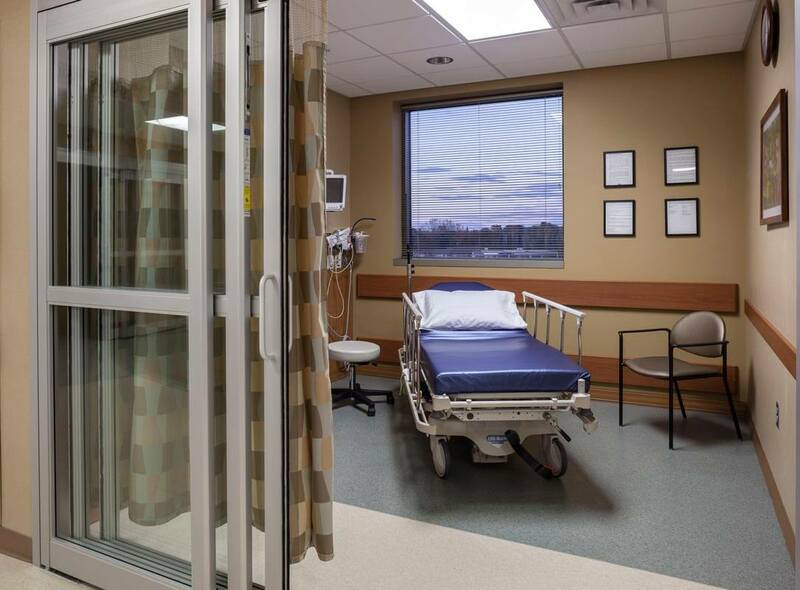 The design allows for expansion to six operating rooms in the future. 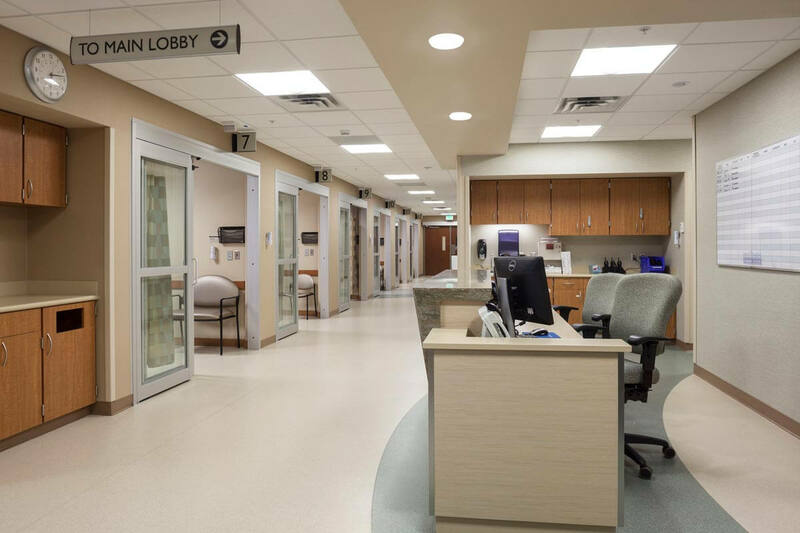 The design solution was developed to accommodate a building conversion to an inpatient surgery facility should Ridgeview seek to convert the building to a licensed hospital in the future. 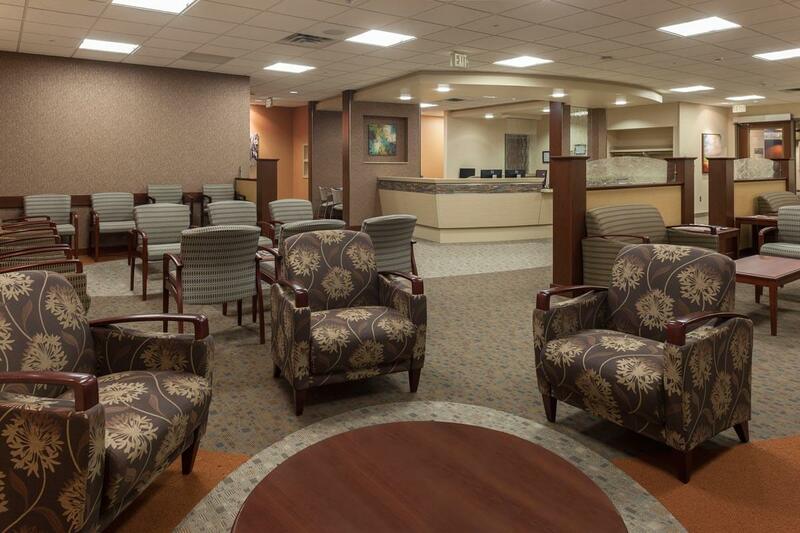 The surgery center is utilized for a variety of surgical procedures, while specializing in orthopedic related surgeries.